I love my CSA, I do, but sometimes, the vegetables, they just stack up. Especially when the farm’s producing root vegetables — gorgeous, sweet, root vegetables — but I am in full-on summertime tomato-pepper-corn mode. So, the root vegetables get ignored. They wait patiently in the back of the crisper — because among their many lovely virtues, they keep — until I can deal with them. Yesterday I finally did. 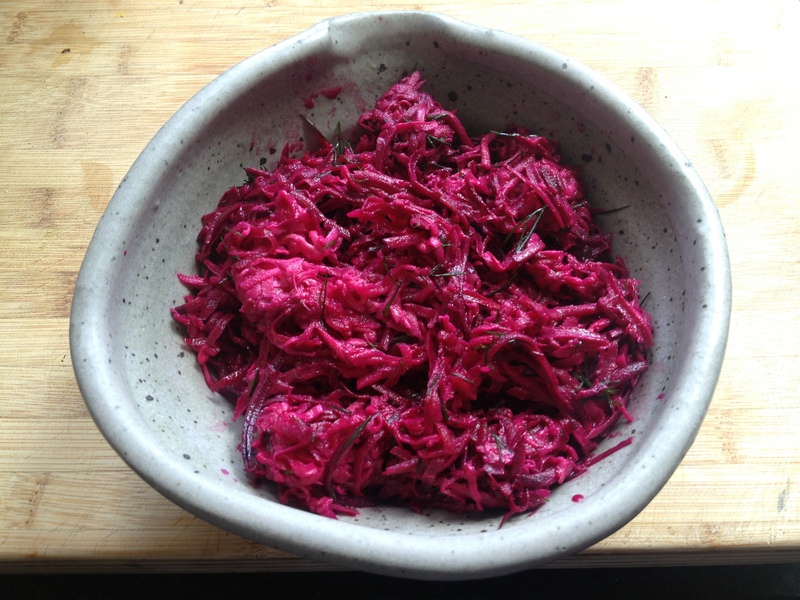 I pulled out the nine beets, the seven turnips and the four kohlrabi, I peeled and chopped and shredded and pickled and roasted. And then when I had packed most of it away for future salads and pasta toppings, I turned to what was left and made a salad for my dinner.